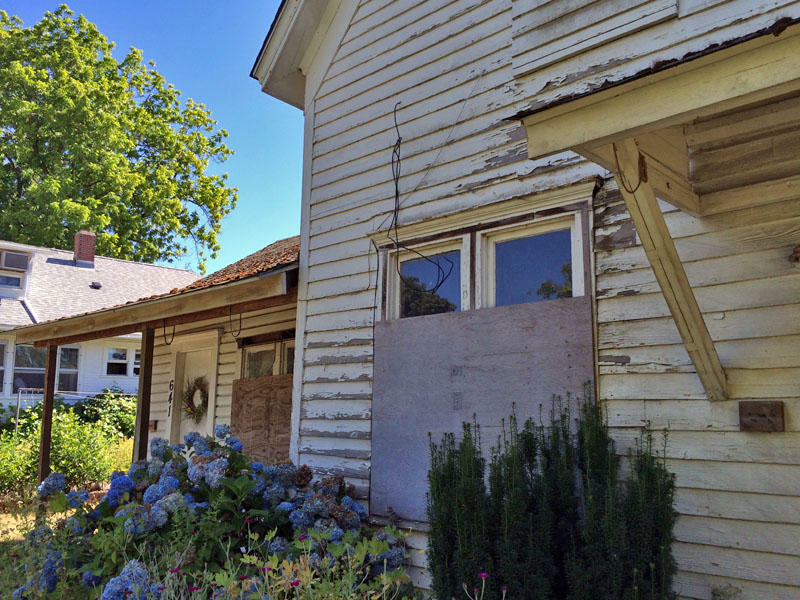 Historians say this Corvallis home was once occupied by Hannah and Eliza Gorman, an African-American mother and daughter who came west on the Oregon Trail in 1844. But here’s a little known fact. Some of those settlers were actually African-Americans. And now historians are trying to raise that profile and celebrate the importance of the African-American story along the Oregon Trail. Hannah and Eliza Gorman, a mother and daughter, came west in 1844 and eventually settled in a modest frame house in Corvallis, Oregon. Patricia Benner and her husband own the house now. Benner pointed to a huge brick fireplace on the ground floor and said, "You can imagine Hanna and Eliza cooking here. It's a strong possibility." It's not clear whether the Gormans were former slaves. What is clear: They were much loved by their new community. The unfortunate documentation of that is the obituary for Eliza, who died in her early 30s. Benner shared a description of the funeral from a local newspaper. It said, "Her intelligence, modesty, kind and sympathetic disposition, consistent Christian life and uniform, courteous behavior has won the respect and confidence of the entire community." But the good will that folks in Corvallis showed to the Gormans wasn’t found everywhere in Oregon. Slavery was never officially allowed, but blacks were urged to leave -- or to never show up in the first place. Oregon’s so-called exclusion laws were only loosely enforced and were eventually removed from the books. But state representative Lew Frederick of Portland said their impact lasted for generations. "The whole political environment at the time was designed to make sure that African-Americans did not come in great numbers to the state," he explained. It may have worked. Today Oregon has one of the lowest percentages of African-American residents of any state in the nation -- just 2 percent. Frederick is the only African-American in the Oregon House. He believes it's important for black Oregonians to boldly tell their story. "A lot of the history has been left out for a lot of Oregonians, for a lot of Americans in terms of the different contributions that different groups have made to the United States and specifically to Oregon," Frederick said. Historians say the Gorman house in Corvallis is one of many largely unknown examples of African-American life in Oregon's early days. A group called the Oregon Black Pioneers is on a mission to unearth other examples like this. Kim Moreland, who sits on the group's board of directors, said she hopes that bringing more stories of black settlers to the forefront will help younger African-Americans understand they belong here too. "It brings another dimension to Oregon's history when we share that type of information," Moreland said. "And it's empowering. It's inspiring. For me, it is." Moreland hopes that stories of African-American contributions to Oregon’s history will someday enjoy a higher profile. The Oregon Black Pioneers are continuing to solicit public input on the hidden nuggets of Oregon's African-American history.